The good people who created Raspberry Pi 3 B+ released it in 2018 on Pi Day (14th March 2018). 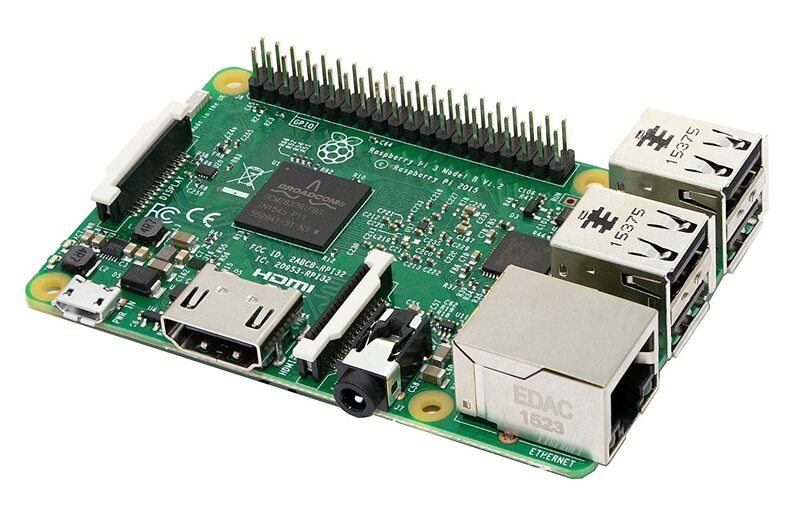 In terms of construction, it’s not so different from the original Raspberry Pi 3. 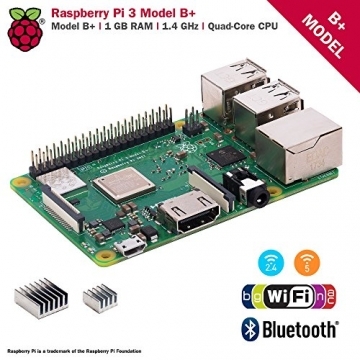 The two have the same footprint, and beyond that, the newer model runs the same operating systems and supports the same programs as the previous Raspberry Pi. The B+ is, however, more capable than its predecessor. It takes most of the functional features of the Raspberry Pi 3, including processing power and Wi-Fi capacity, and ups them significantly. That is why it makes a great Mini Computing computer for Linux users. The only challenge is that when you buy it you get a bare bone board. 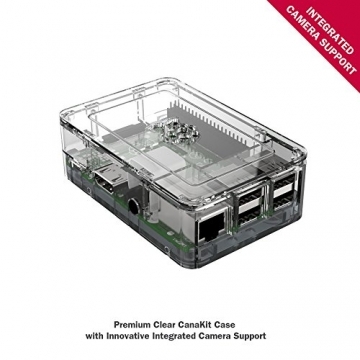 No storage, no casing and no external equipment; that is unless you order the complete kit like the CanaKit Raspberry Pi 3 B+ where all equipment are bundled in one complete package. That is more recommendable than buying the Raspberry Pi 3 B+ as a standalone device. 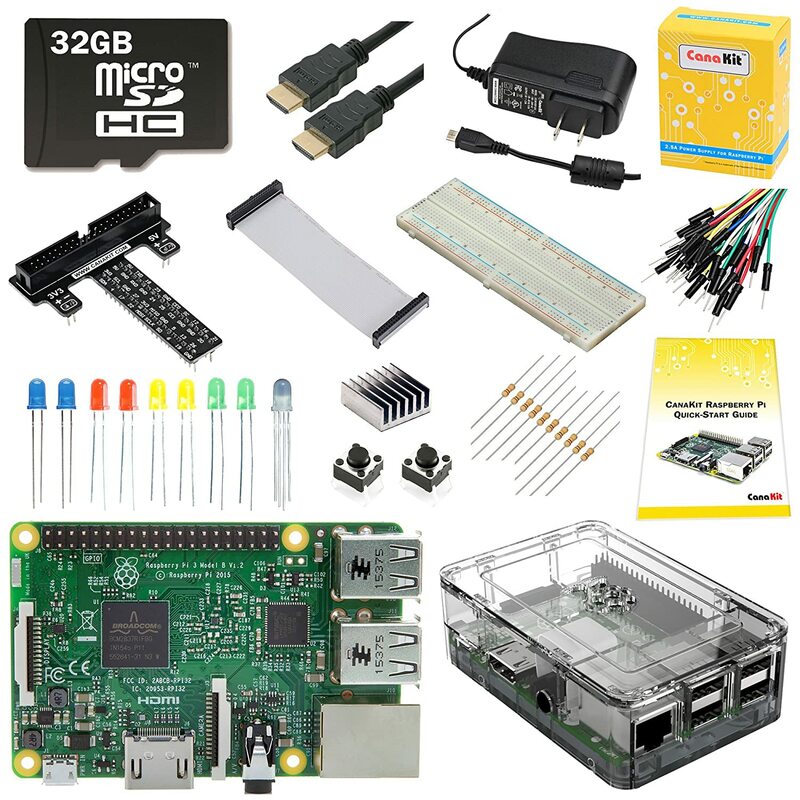 With the full kit you can easily setup a Raspberry Pi desktop computer, media server, robotics center or pretty much anything that the Raspberry Pi can do. Besides that, you can connect it with Arduino using the GPIO header. Pretty big deal, right? 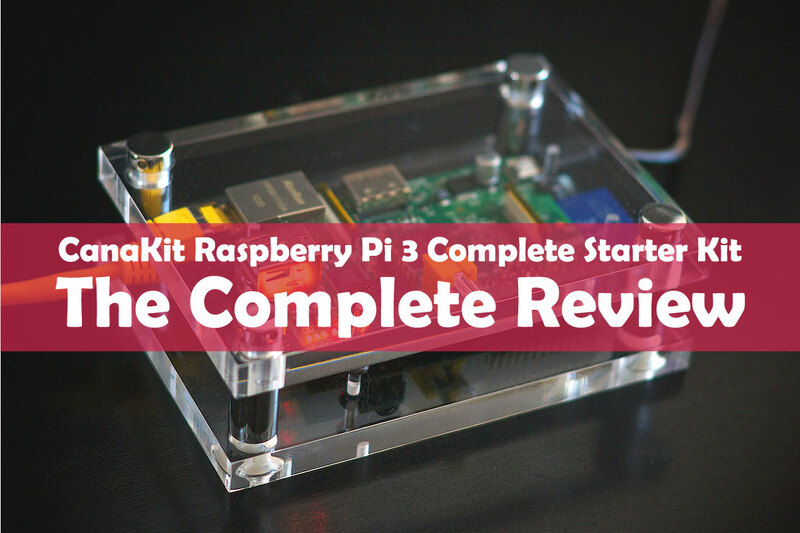 Great, now let’s look at the reasons why the CanaKit Raspberry Pi 3 B+ is the best Raspberry Pi starter kit that you can possibly find. The CanaKit Raspberry Pi 3 B+ kit is offered in two different versions. One comes with a 16GB MicroSD card for storage while the other comes with 32GB. Needless to say, the 32GB kit is much better than its 16GB cousin because it offers more storage. For that reason I will focus on the 32GB kit from now on. As you might expect, the 16GB version costs slightly less, so if you have a limited budget its worth your consideration. Otherwise 32GB is what you need for all your storage needs. The CanaKit Raspberry Pi 3 Complete Starter Kit that comes with this CanaKit kit features the ARM v8-A 64-bit architecture. That is the same technology used to make the original Raspberry Pi 3. Essentially what you’re getting is a version that is not only faster and more powerful, but also boasts better compatibility. You don’t need to buy any additional hardware like before. It comes with built-in LAN, Wireless Internet (Wi-Fi), Bluetooth 4.2/BLE, and full HDMI support. These functions do not compromise performance thanks to the all-powerful quad-core ARM Cortex-A53 processor that’s clocked at 1.4GHz and a 1 GB SDRAM. 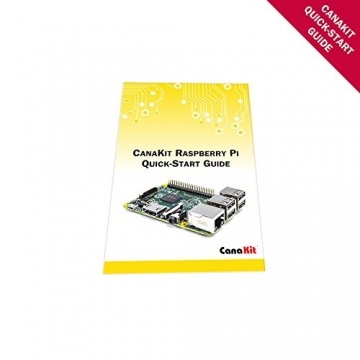 One of the reasons why this CanaKit offering is the best Raspberry Pi starter kit is because you also get a Class 10 memory card. It has a total capacity of 32GB and can read/write data faster than ordinary cards. That means you can transfer and access files quicker than before. 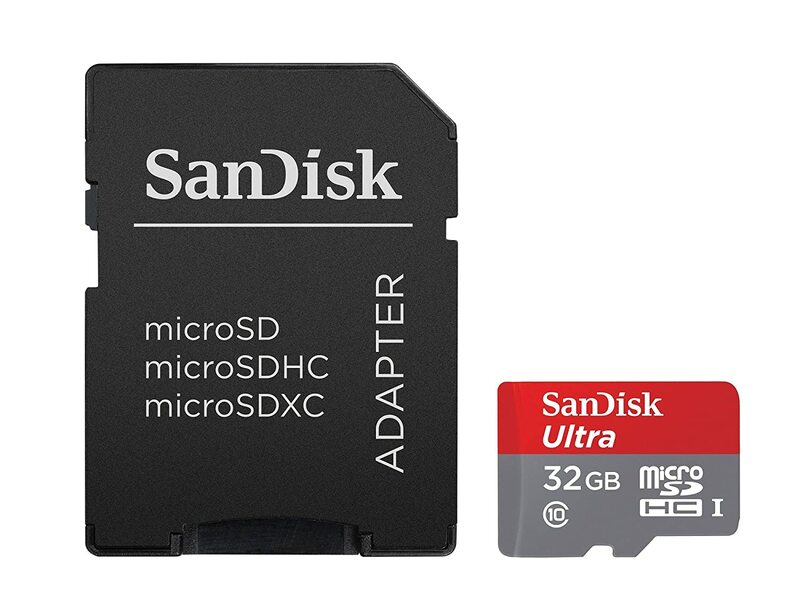 Note: There is also a Special SanDisk microSD card that you can use with your CanaKit Raspberry Pi 3+ Complete Starter Kit. 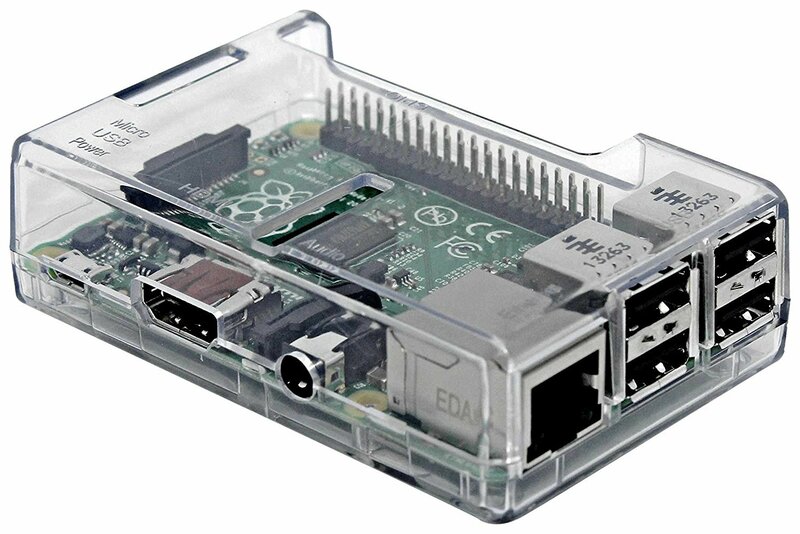 The starter kit comes with a top-drawer clear case for protecting your Raspberry Pi. It’s fitted with a heat sink for cool down the processor in case it heats up. 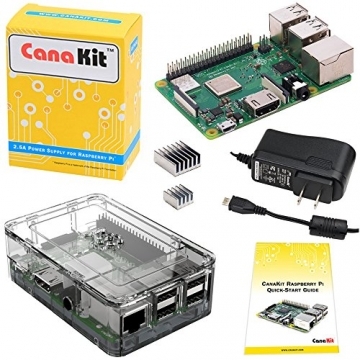 With this CanaKit Raspberry Pi 3 B+ Starter Kit you get additional items that can help with a number of projects, like when you need to connect your Raspberry Pi to Arduino. They include GPIO to breadboard interface board, big size breadboard, color LED, resistor etc. 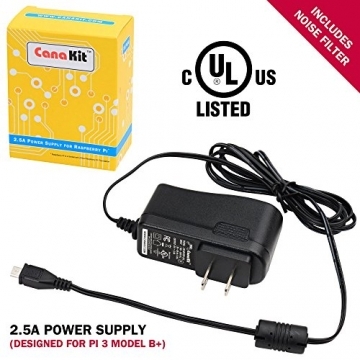 Q: Does CanaKit Raspberry Pi 3 Complete Starter Kit Need External WiFi Adapter? Q: Can I make a gaming computer with this kit? A: Yes. But not a complete gaming computer. You can make it a gaming console by using custom OS like Retro Pi, Lakka OS etc. Check the supported operating systems above to ensure that the one you choose is fully compatible. Q: Is the CanaKit Raspberry Pi 3+ Complete Starter Kit-32GB Edition Original? Is it made in the UK? A: Yes, it’s original and made in the UK. In summary, the CanaKit Raspberry Pi 3 B+ is an awesome buy for Raspberry Pi users. It’s a full kit, so you won’t have to buy additional accessories. Plus it comes pre-installed with NOOBS operating system, so experienced users and newbies can use it out of the box without any hassle. If you have any questions or additions, kindly remember that our comments section is open, so let’s get chatty.